Less can be more when it comes to campaign publicity. 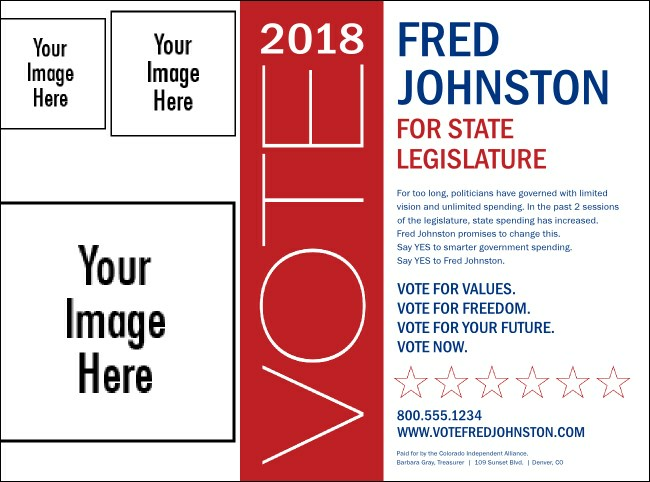 This sleek and simple Modern Vote Flyer allows you to add three custom images along with eighteen lines of text right to the ticket template. Red, white, and blue Flyer with patriotic stars encourages everyone to vote and help you spread your message.